On July 20, 1969, the crew of NASA’s Apollo 11 made history, becoming the first manned spaceflight to land on the moon. and Lunar Module Pilot Edwin “Buzz” Aldrin. On July 20, at, 4:18 pm EDT, while the entire world held its breath, the lunar landing craft named Eagle 1 safely touched down. Several hours later, Armstrong and Aldrin became the first humans to stand on the moon while Collins orbited above. 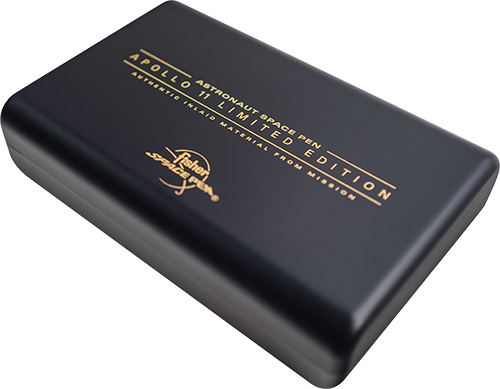 To commemorate this great event, Fisher Space Pen Co. has issued 500 Limited Edition AG-7 Space Pens, each one featuring genuine, authenticated material from the Apollo 11 spacecraft. The space flown material is “Kapton” foil, and it served as a protective thermal insulation for the Command module Columbia. This rare artifact floats in a water-clear acrylic dome sealed into the pen’s cap. 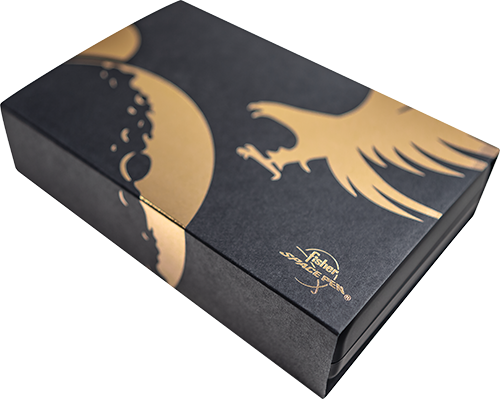 This exquisite collectible is further distinguished with a black titanium nitride finish complemented with fine engravings plated with 24 karat gold. 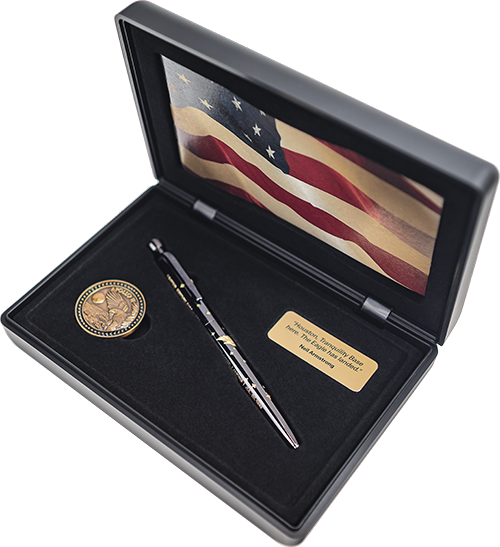 The diamond cut engraving includes an American Eagle landing on the moon, historic dates, Apollo 11 50th Anniversary text, and the serial number for each of the 500 issues. 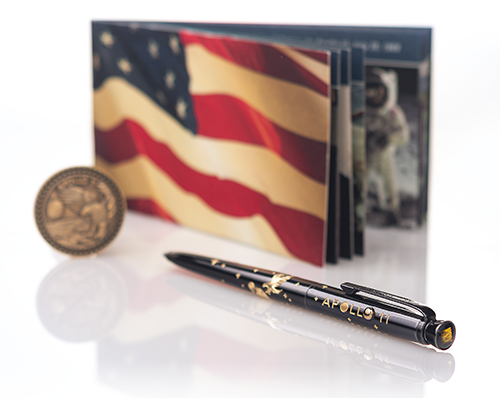 “We are extremely proud to be celebrating 50 years in space,” says Cary Fisher, President of Fisher Space Pen. NASA manned space flights and is still used today. actual artifact from the most historic of all space events.